Bitcoin Press Release: Danish CCEDK supports OpenLedger’s crowdsale ‘Initial Coin Offering OpenLedger’ (ICOO). The project aims to gather ICOs on the OpenLedger platform in order to benefit both startups and investors. 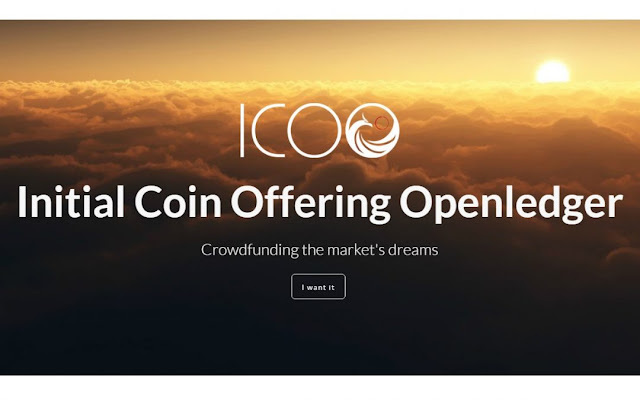 May 24 2016, Blokhus, Denmark – As a part of the new offering, the Danish cryptocurrency platform, CCEDK, and OpenLedger have announced the crowdsale of its Initial Coin Offering OpenLedger (ICOO) crowdsale, starting May 20, 2016. The crowdsale will go on for a duration of 42 days, allowing people to buy ICOO tokens for its new Economic Enterprise Engine – Crowdfunding 3.0 initiative. ICOO crowdsale allows people to buy ICOO tokens with Bitcoin or any other currency supported on the CCEDK or OpenLedger platform. However, all the payments towards ICOO tokens, irrespective of the currency will be converted to Bitcoin to prevent loss of value. 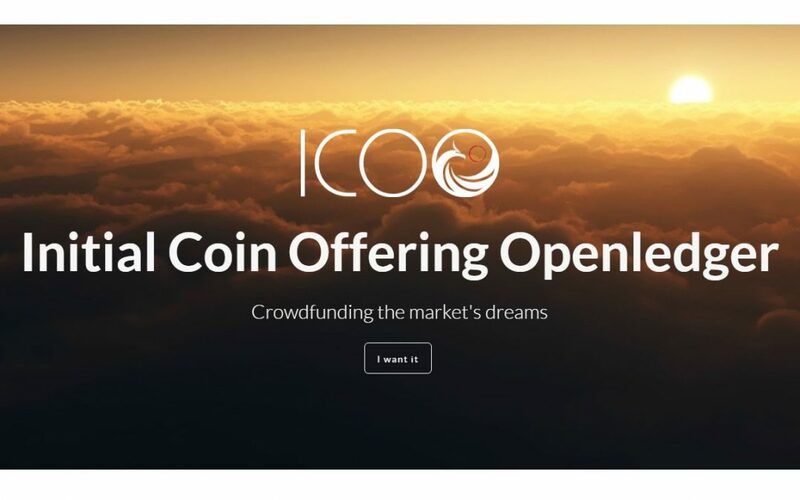 CCEDK and OpenLedger will use the funds raised through the ICOO crowdsale to buy into new ICOs and enable investors to trade tokens representing upcoming ICOs even before they are launched. While the maximum number of ICOO tokens available for crowdsale is limited to 20,000,000, the final count of ICOO tokens will depend on the number of token’s bought by the investors during the period of the ICO. Only sold tokens will be available for use after the ICO, leftover funds will be burned. The DAOHub ICO is already supported on the OpenLedger platform as the third prelaunch ICO. One million OPEN.DAO tokens were released for prelaunch and are currently available exclusively on OpenLedger. Consequently, ICOO will start scouting for new ICO projects that can be supported by the platform in the coming days. The newly identified ICO projects will be supported by CCEDK to put the crowdsale campaign in place on the OpenLedger platform as a part of the ICO package sold to the creators of the new platform. OpenLedger has already supported two prelaunch ICO campaigns in the form of LISK and DigixDAO-DGD so far. The DAOHub prelaunch ICO is the latest one currently being hosted on the platform. Upon successful launch of ICOO, the profits will be invested into commodity backed digital tokens including DGX, OBITS, and BitTeaser, to generate returns for the ICOO community. A portion of the revenue generated by offering consultation services and ICO packages will be channeled to the supporting assets comprising of OBITS and BitTeaser while another portion will be allocated to ICOO token holders. In addition, OpenLedger users pledging over 15 BTCs to ICOO crowdsale will be awarded special lifetime privileges on OpenLedger platform, entitling them for discounted advertising, goods, and services. The ICOO fund will be used to offer new ICOs even before the actual launch date through proxy tokens, which act as IOUs. OBITS, with a certain portion of funds allocated to it, will act as a catch-all asset representing all current and future initiatives by the CCEDK network. The investors in ICOO tokens will benefit as ICOO grows. Asset holders may stake their tokens during the prelaunch and withdraw or deposit them freely on the day of the official launch. The profits made by ICOO following the first wave of token generation will be split the following ways. CCEDK will control 40% of the ICOO profits, which will be used for its operations, administration, advertising and other expenses while the remaining 60% will be distributed in a pre-defined fashion. Out of the 60% of profits, 20% of designated revenues is used as buyback and consequently burned. The buyback is performed in BTC on the OpenLedger ICOO _OPEN.BTC market. 0.13% interest from DGD as quarterly payouts in DGX and added as a reserve to ICOO value (25% of total ICOO value is in DGD). A voting system will be in place shortly, making it possible for asset holders to vote on the implementation of key features; such as monthly dividends instead of the buyback option used today. The whole campaign period is divided into 4 tiers and the number of ICOO tokens per BTC will continue to reduce upon the completion of each tier. With another 37 days to go, the price for 1000 ICOO tokens will be set at 1 BTC until the end of this month, following which the number of ICOO tokens for the same price will reduce to 925 for the next 15 days. Upon completion of 27 days, since the beginning of the campaign, investors will be able to buy 850 ICOO tokens per BTC. During the last 5 days, 1 BTC can get only 775 tokens. The whole ICOO model is devised by CCEDK and OpenLedger in such a way that everyone involved benefits from it. By putting the power of creation into people’s hands, ICOO wants to change the way crowdfunding campaigns are executed by introducing blockchain technology and the power of OpenLedger platform. For those who are interested in being part of CCEDK and OpenLedger’s endeavors are urged to make good of the opportunity by investing in ICOO tokens. CCEDK is the source of this content. Virtual currency is not legal tender, is not backed by the government, and accounts and value balances are not subject to FDIC and other consumer protections. This press release is for informational purposes only. The information does not constitute investment advice or an offer to invest.